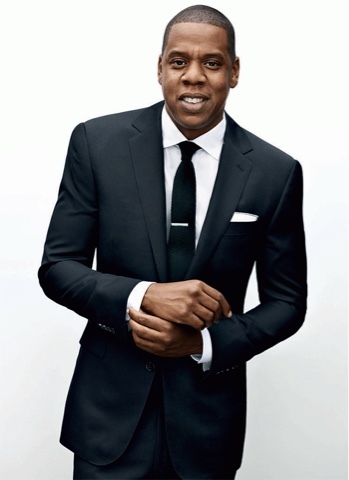 Jay-Z launched the new streaming service Tidal that is subscription based. There is a $9.99 standard package and the $19.99 premium that includes the much talked about Hi-Fi audio,which consits of 16-bit Flac files allowing you to have the original audio data. You are getting CD quality through your stream which is what everyone would dream of. Now is $19.99 worth CD quality music whenever you want it when Spotify, the leader in the music streaming market, offers you a free package that is still of good quality? That question is simple to answer at face value, no. However what Jay-Z is doing is not that simple. At the Monday press conference, Jay-Z stood with fellow Tidal owners such as; Rihanna, Kanye West, Madonna, Nicki Minaj, J.Cole, Usher, Jack White, Alicia Keys, Jason Aldean, Daft Punk, Arcade Fire, and OH YEAH Beyoncé. Tidal is the first and only service that is owned by artists and to see them all unite in such a way is very awe-inspiring and commendable. What does this mean for the consumer? Well as of today Tidal has access to Taylor Swift’s catalog and Spotify does not, that is the biggest content difference music wise…right now. No successful endeavor is going to begin immediately. After Swift pulled her music late last year, there could now be a precedent set for others to follow suit and receive much more of the pie aka the money. It is no secret musicians are not a fan of the freemium model. They make much less when royalties are paid through ads that you hear when using a free stream service. According to the Financial Times, ad-supported free streaming brought US labels $295 million in the US in 2014. Compare that to the almost $800 million created by paid subscriptions and you see the artist interest in banding together. What exactly does this mean for new and less established artist in the future? Everything. This is where Jay-Z and friends have an advantage that not many are considering. Tidal in a way becomes a record label as once an artist contracts runs out, they can offer them money and slice in Tidal stock for their content. Imagine if all the musicians at the press conference do what Swift has already done, add-on Tidal reaching an exclusive deal with say a Drake once he has no more contractual obligations. Suddenly you have dealt a major blow to the library of Spotify and others. You can also pay new artists with a buzz to exclusively play their albums. Now you have created a direct to consumer relationship while maintaining artistic creativity and CD quality music streaming. That should be Tidal’s end game by acting as an agency on top of a streaming service, this creates so many more avenues. Where Tidal has already won is that there is a market for those wanting quality sounding music. Artist and fans who take music seriously are going to invest in this. While $19.99 a month is double what the competitors are charging, it is at a price that is still affordable. You are also getting high-definition videos as well, which may not be the main selling point but has to be considered by anyone subscribing. HD video content adds a possible alternative to Vevo. Since Tidal is solely subscription based you will never get any ads or limit on song skips, which is another benefit. Added to that is exclusive playlists comprised by expert music journalists. Lastly, the names attached to this cannot be ignored. The world saw what happened when Dr. Dre stamped his name on some headphones. Headphones that many will tell you are poorly made and not of premium sound, yet sell for premium price. Tidal is going to do decent numbers off that fact alone. Marketing is everything and they have all the star power at the moment. Even more interesting is that Jay-Z’s comments with Billboard. Jay said, “I just want to be an alternative…They don’t have to lose for me to win.” This is probably the best way for Tidal to succeed. By not going directly at Spotify or even Beats Music for that matter, Jay-Z and others will have the ability to control their music and profit more from it. The key is going to be exclusive content and hopefully this conglomerate delivers on the making music as enjoyable for the fans as promised and not a one-sided relationship. Time will tell, but if handled correctly this could be bigger than Apple’s purchase of Beats last year.